From schools to hospitals and every business in between, visitor ID badges are a necessity for security. Many places of employment require personal identification. They are great for security and getting to know everyone at work. And, visitors are no exception. The use of badge holders and other visitor ID badges is essential in keeping your company safe. So, here are the top five reasons to make sure all of your guests have visitor ID badges. There are many locations where visitors may be necessary. Two of the most popular are schools and hospitals. Schools must constantly monitor who is wandering the halls of the building. Whether it’s a student, teacher or parent, many principals and school attendants are finding it necessary to make sure that everyone has ID badges. And that means visitors as well. 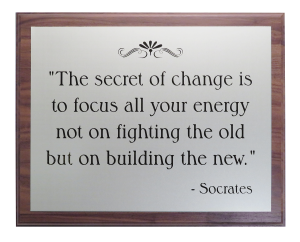 Hospitals and other businesses are no different. 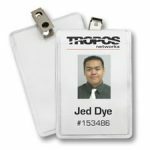 From using an adhesive name badge to a photo ID badge, security is a must for schools, hospitals and other secure locations. Whether you work at a power plant, a newspaper or an elementary school, knowing who is around you at all times provides a sense of security. And name badges help with identifying those with whom you come in contact. Visitor ID badges keep everyone safe. From the visitor to the president of the company, everyone needs to be identified. And, with this identification, everyone is sure to know where they belong and who else might not belong around them. On the other hand of security, identification for visitors helps them to feel welcome at any facility. When people are seen wearing visitor ID badges, employees can reach out to them to make sure they are comfortable and being helped in any way they can. 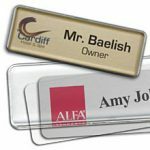 Whether they need directions or a question answered, a name badge will quickly set a visitor apart from others at your business. 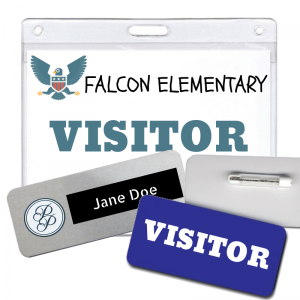 And, if your company or school has a check-in system in place, making these visitor ID badges is easy. 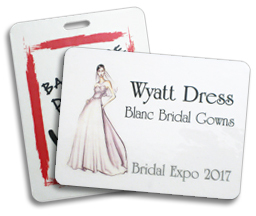 From a quick label on a logo only name badge to a badge holder with a printed insert, everyone will quickly have identification. 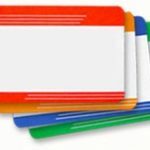 Name tags and other personal identification products make establishing a relationship of trust easier. And incorporating this trust in visitor ID badges is essential. Being able to quickly identify someone because they can match a face from a photo ID directly to a company is a refreshing and comforting necessity in our world. Don’t forget branding! 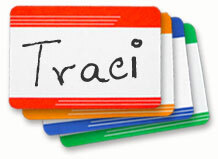 Leave your mark by adding a logo to all of the name tags in your office. 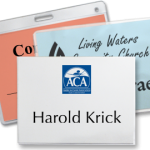 Or, when creating name tags for a conference, add different company logos to each group’s name tags. Each company will appreciate this branding, and it also helps with continued recognition for each brand. And, by adding a logo to visitor ID badges, there will be no mistaking who belongs where! 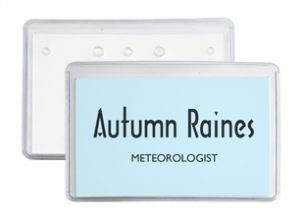 Business name tags subtly encourage the wearer to maintain some professionalism while being worn. Sometimes it is easy for employees to forget where they are, but by adding a name badge or name tag, this is less likely to happen. While there is nothing wrong with having a casual working environment, a name tag will ensure a certain amount of professionalism. So, no matter your reason for having visitor ID badges, know that they are always important. From icebreakers to basic identification, name tags are a must at your family reunion! No matter the size of your family, getting everyone together in one place and at one time is a massive undertaking. And making sure that everyone in attendance knows each other at your next family reunion can be a daunting task. 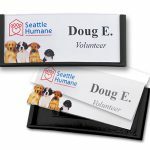 Using name tags helps to ease almost any burden brought on by planning such an event. But, remember that name tags aren’t just for names! Here are a couple of ideas to help get you going in your event planning. Yup, we said it. Use your badge holders for names! Remember to include first and last, but you can also use these name badges for icebreakers. Add fun facts about each person, or add a conversation starter such as the words, “Ask Me…” to get all the partygoers interested in each other. 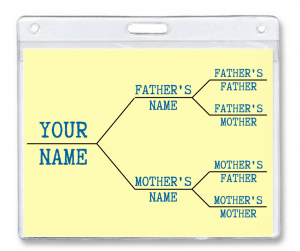 Another fun idea is to use name badge holders to indicate family tree lines. Either create your own tree and print it on the inserts or have party attendants draw their own. And, use the fun colors to indicate specific family lines. That way each family member can quickly associate which line they are from. Don’t forget the games and souvenirs! There are so many ways to use adhesive name badges at your next family reunion. From games to easy identification, the possibilities are endless. And, one of the easiest things to do at a reunion is play games. These games can be nearly anything. Print on adhesive name badges or have pens available for contestants to write names and others things. With these easy-to-use stickers, everyone can participate in your family reunion games. 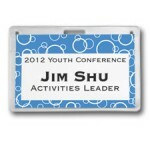 No matter your identification choice, use most of our name tag products at your next family reunion! Even get the kids involved with learning who their cousins are. 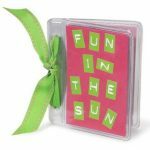 Send them on a scavenger hunt with a dry erase photo book made from badge holders to find as many relatives as possible. Name tags help to identify each family member so that the kids can find people quickly. Then, take these photo books home as a souvenir of your family reunion.